This session will examine the global context of the relationship, including macroeconomic conditions and global energy markets. 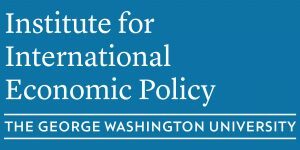 This session will explore current controversies surrounding U.S. economic relations. Eswar Prasad (Tolani Senior Professor of Trade Policy at Cornell University, Senior Fellow at The Brookings Institution, Research Associate at the National Bureau of Economic Research, and former Chief of the China Division at the International Monetary Fund). The final group of panelist will discuss the economic and political future of the two countries. David Shambaugh (Professor of Political Science and International Affairs at The George Washington University, Director of the China Policy Program at the Elliott School of International Affairs, and Nonresident Senior Fellow at The Brookings Institution).